« Happy New Year and a prosperous 2015 from Pupillageville! 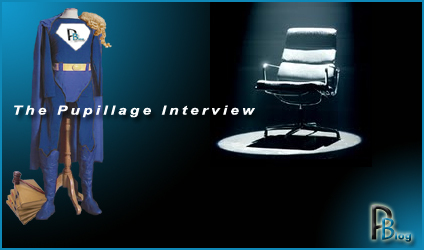 Pupillage Interview: Your chosen subject… Why do you want to become a Barrister…..
It’s that time of year again when aspiring individuals seek to attain their foot upon the proverbial ladder to pupillage, as they go before those hallowed Pupillage Interview Panel. Hours of sweat and tears go into preparation for the pupillage Interview, knowing that only a carefully crafted approach will aid to support the much sought after place in chambers. It can often be very difficult for the would be pupil to attain both clear inspiration and direction for their interview, so I have decided to compile a supportive helping hand to give you some guidance for that all important date in the diary, the pupillage interview. Be sure to view the associated links provided within the commentary, as this will provide clear examples so as to support and underpin the information provided. From the outset, it is important to really do your homework on choosing the appropriate chambers. Remember at the self-employed bar, that is what you are…. Self Employed! So you have to make the right choice in choosing chambers, and in any event, a shrewd member of the Pupillage Panel will soon know whether you are really committed or cut out to be a part of their set. This might sound obvious, but chambers will need to know that you are going to be able to financially afford pupillage and be able to survive the 12 months on the award given. So, from the outset, know the award offered and ensure that you can back up both clearly and practically your ability to undertake pupillage without financial problems. A good pupillage brochure or policy will be clear about the training being offered during pupillage. Again this is essential knowledge to know before the interview. In addition, it is a good idea to see whether chambers has a policy to encourage pupils during their pupillage year to undertake a limited amount of pro bono work e.g. FRU the Free Representation Unit. Obtaining a tenancy, how are those offers made? For any student obtaining pupillage, the goal will inevitably be attaining a tenancy with chambers. The chambers should be transparent on how any offer of tenancy will be made and of course their expectations of the engaged pupil. Knowledge of this prior to interview, will demonstrate to an interviewing panel that you have a clear understanding of the expectancies needed for pupillage and a working understanding of a pathway to tenancy. However, if chambers appears to be a little vague upon this process, don’t be afraid to ask the question at interview. Does the set of chambers operates a loan/income supplement scheme to ensure that new tenants receive an income? Only too often, potential pupils are blinkered about only attaining a pupillage and are not forward thinking as to financing themselves beyond completion of pupillage. Critically finances can be make or break when a pupil attains a practising certificate and offered tenancy. So again, see if this is offered at the chosen set and if not, it is another question to ask at interview. Turning now to chambers itself. For any interview it is imperative that any potential pupil has a clear unfettered understanding and knowledge of their chosen set. A pupil will be bringing their applied legal discipline and skills to the table, so ensure that you have read and have a good working knowledge of all the barristers who will be practicing your legal discipline at that set. This also helps in the preparation process in being able to answer questions about the particular set and why you made the choice to want to joint chambers. Next, look at chambers recent cases both successes or otherwise and be knowledgeable about them. After all, there is an expectancy that you should have a good knowledge and grounding in both your applied legal discipline and future set of chambers, so be fully prepared to answer any pertinent questions about this at interview. Remember, in time if you are successful and go on to achieve a tenancy, these barristers will be become close colleagues and friends, so start as you mean to get on. It is a good idea to have an understanding if possible of the pupillage process itself. The Pupillage Blog has a section ‘Life as a Pupil’, which provides a good insight as to what to expect over the 12 months of pupillage. Equally, a large number of chambers websites now have dedicated sections to provide information about current pupil experiences of pupillage. Importantly, this will provide another view of the structured pupillage programme and again arm you with that all important information prior to interview. As I mentioned previously, be prepared to answer questions about the particular pathway of practice you seek to engage upon. Know the leading cases and where possible, the advocates concerned who were responsible for those successes within the courtroom. Likewise, it is extremely important to be up-to-date with events and burning issues dominating the profession. In some areas of law, e.g. Criminal and Family, the profession is on its knees. So you will need to be very persuasive and very well informed as to how you will be able to demonstrably carve your niche at the Bar. Addressing more practical considerations of interview. Where possible, I would recommend reviewing the selection criteria for chambers and the qualities that are sought within a potential pupil candidate. Remember, it is the role of the Pupillage Panel to ascertain clear qualification of the required pupillage selection criterion and that it is openly demonstrable by any pupil at interview. Typically the pupillage selection criterion may include the following, all of which may be individually scored. Ability to appear confident, receptive and open. Critically, a key consideration for the above criteria, would be to easily demonstrate how each of the criterion can be readily identifiable and that you able to provide pertinent suitable examples, so as to appropriately support the interview process. Another tip is to see whether your selected set of chambers has any reports on previous interviews and interview rounds. This knowledge can often provide a clear insight into the interview process and the expectancies of chambers. This report from 5 Essex Court provides a clear unfettered example. Today, most chambers will often ask pupils to undertake sample legal problems at interview (example 1, example 2). This may take the form of advocacy, or provide a hand written solution to a problem question, or address a piece of drafting for court. In any event you need to be prepared but don’t be afraid. Remember, Pupillage Panels are generally more interested in your reasoning than knowledge of the law. Ensure that your BPTC folders are well oiled and that you have suitable examples that you can rely upon, especially if you are required to run a short assessed bail hearing at chambers. In any event, I would suggest to always take a folder with relevant supportive material, which can be relied upon, even at short notice if required at interview. Likewise, ensure that you are very much up to speed upon all matters relating to professional conduct as inevitably this is likely to be tested! An important part of any interview is the ability to demonstrate that you’re not just an advocate, but that you also have a life outside the Bar. Be able to share with the Pupillage Panel your hobbies and perhaps some engaging life experiences which can draw out your character and personality. Finally, remember, be yourself! Pause, breathe, think then Answer. Best of luck to all those on interview at this time and please feel free to feed back to ‘The Pupillage Blog’ on your highs and lows, successes or otherwise.